GLLRY ZOH is an art platform and project space, surrounded by colorful the homes of young artists that belong to cultural hub Heesterveld Creative Community. 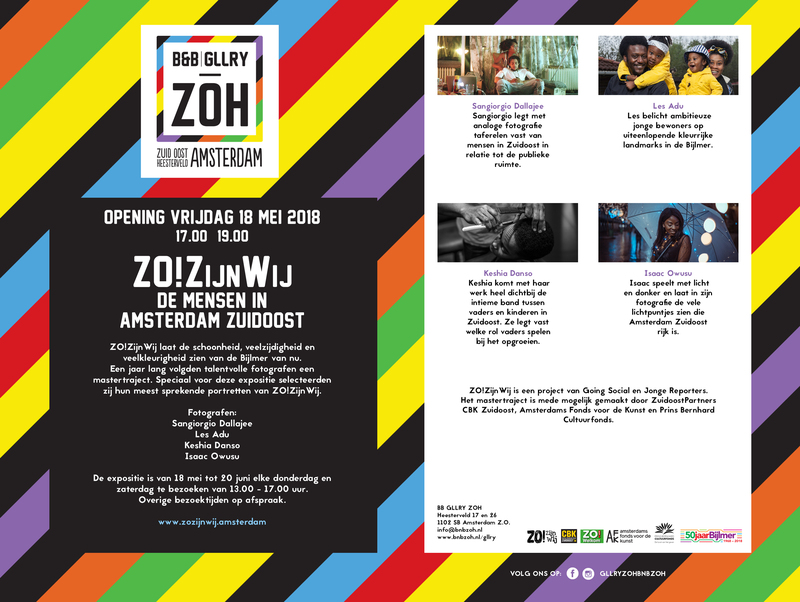 GLLRY ZOH offers an exhibition program and hosts performances, lectures, events and discussions. Exhibiting national and international artists, GLLRY ZOH creates a dynamic art scene, within the context of the experimental multi-cultural setting the gallery is located in. GLLRY ZOH specializes in multimedia art and supports exhibitions in public space. Because GLLRY ZOH is right next to BnB ZOH, there is also the possibility of hosting international artist residencies.